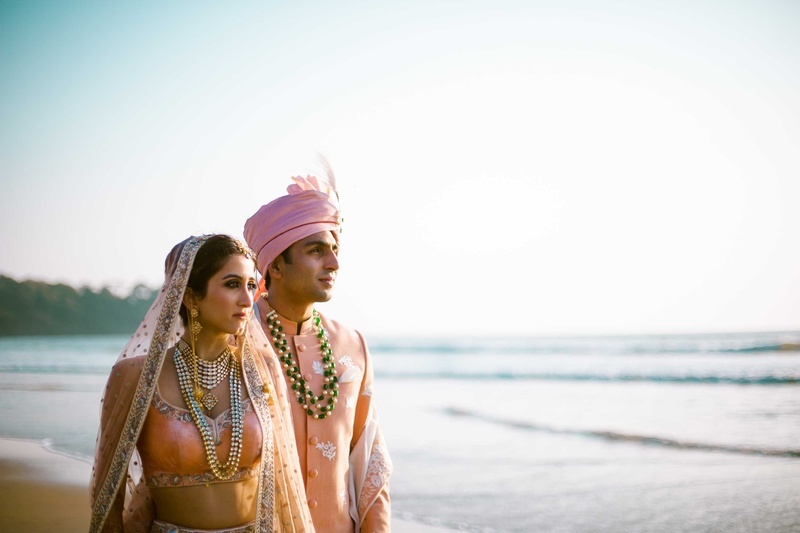 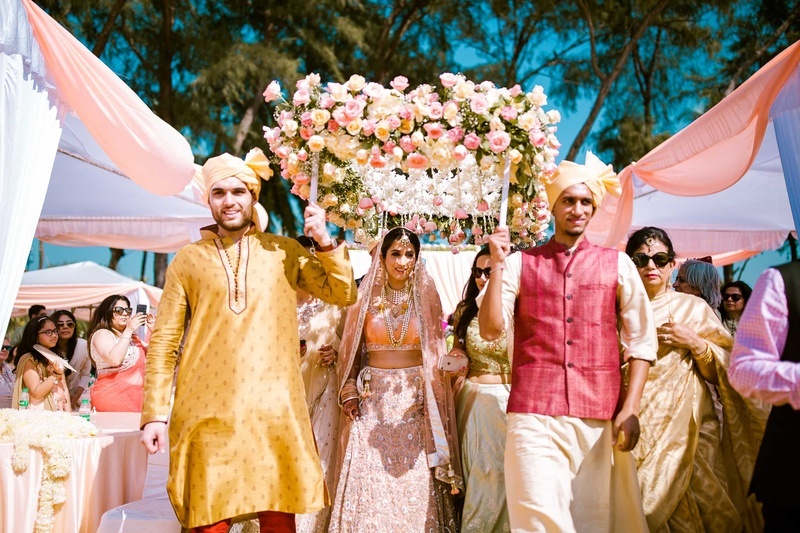 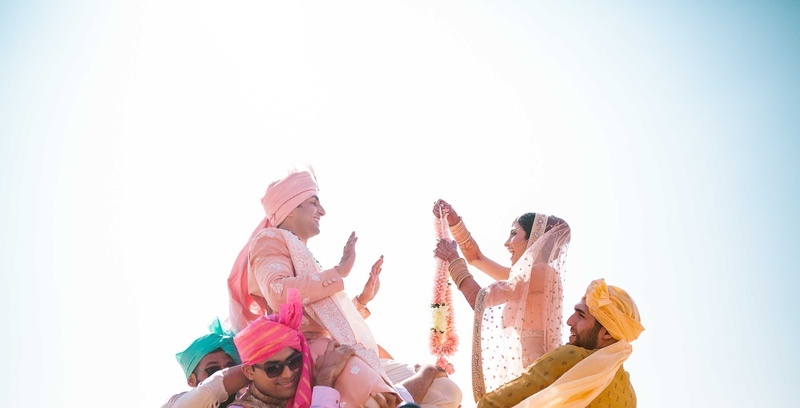 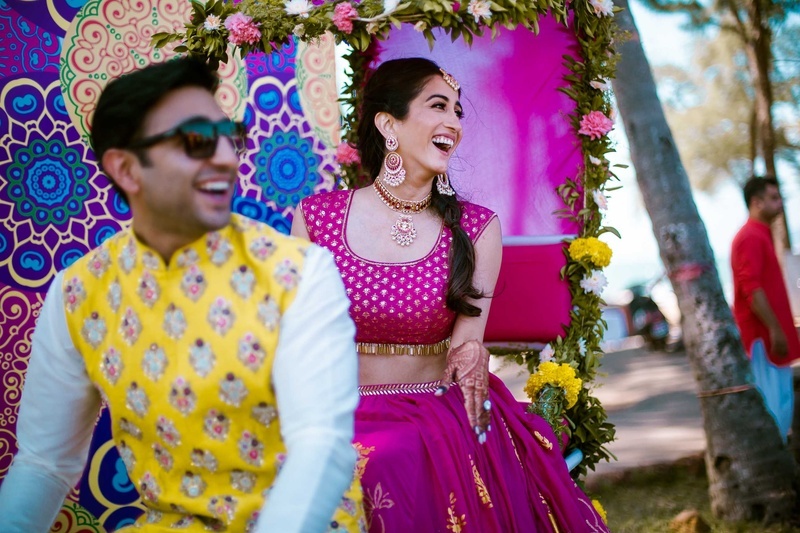 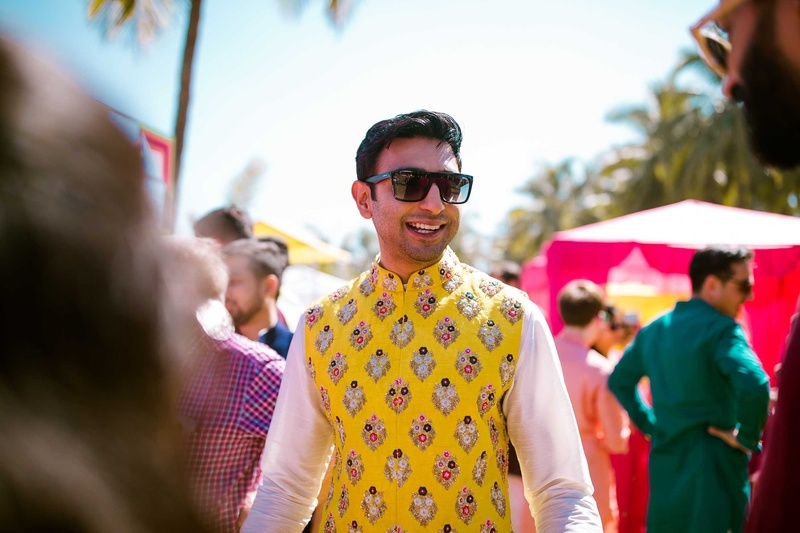 Nivaan and Kiran got hitched in a Goa destination wedding and we can't get over the mehndi outfits! 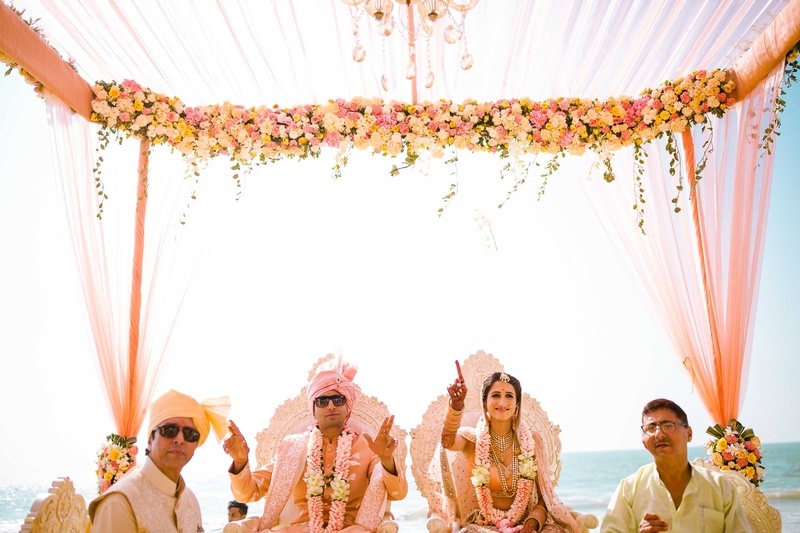 Nivaan and Kiran, just got hitched in the most serene and beautiful wedding at Lalit Golf and Spa Resort, Goa! 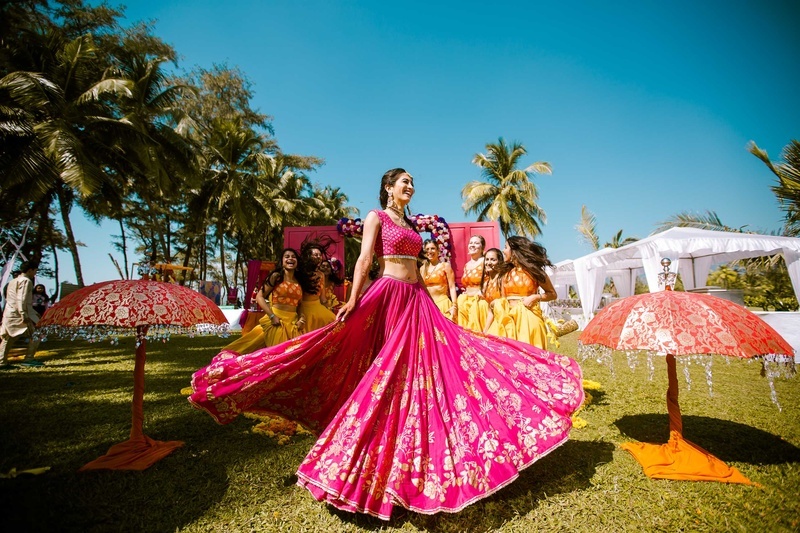 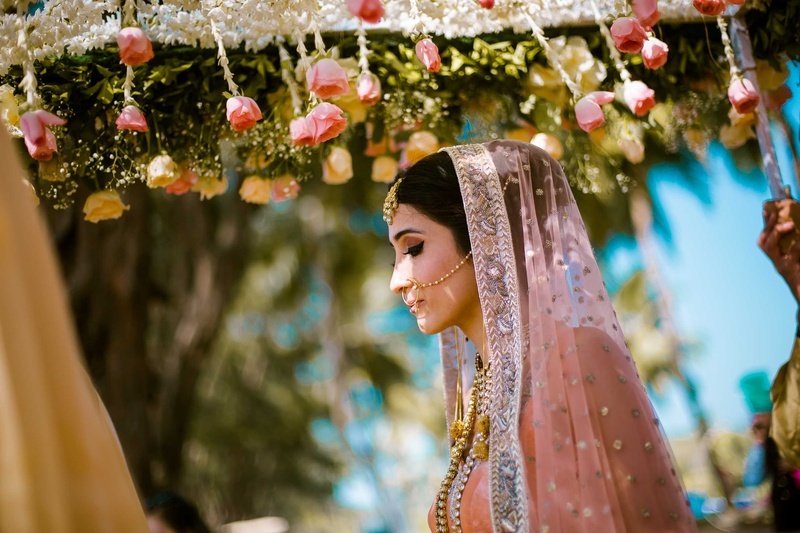 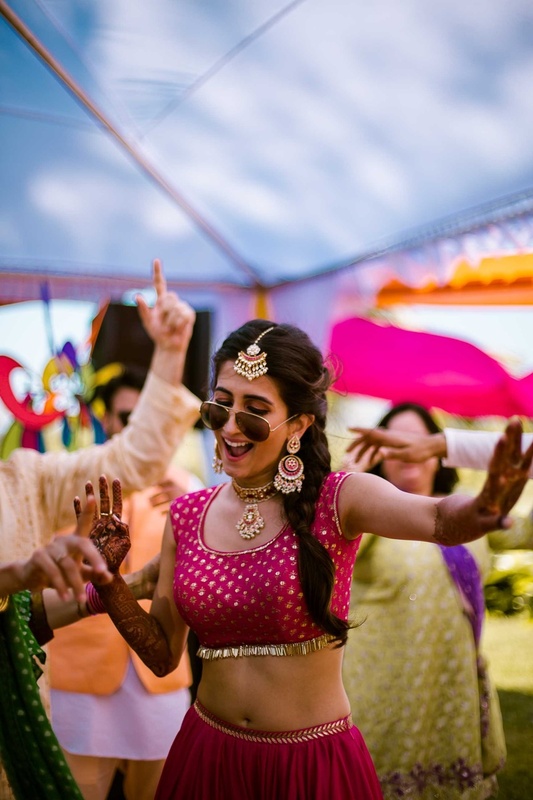 From a mehndi ceremony that has gone viral to the most coordinated bridesmaids outfits, this wedding has probably been the most beautiful and no-nonsense wedding! 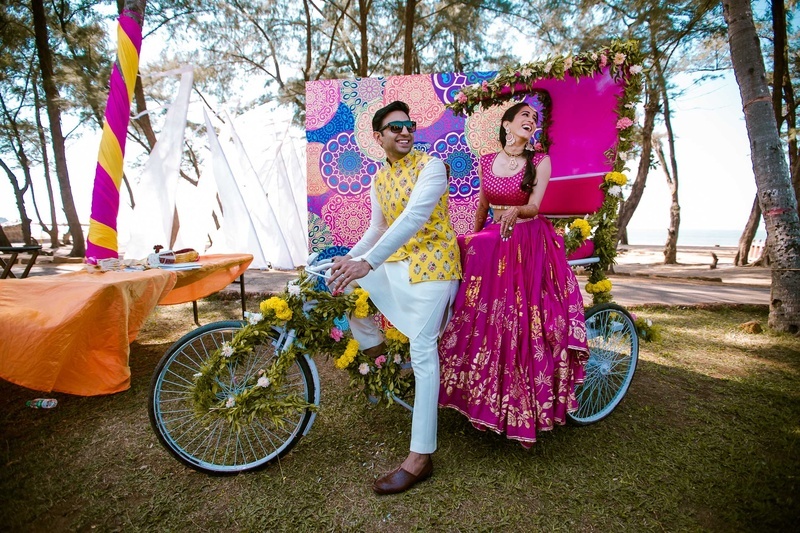 Choosing the international favorite destination of Goa, the couple picked Lalit Golf ad Spa Resort for it's perfect blend of classic nostalgia and outdoor luxury. 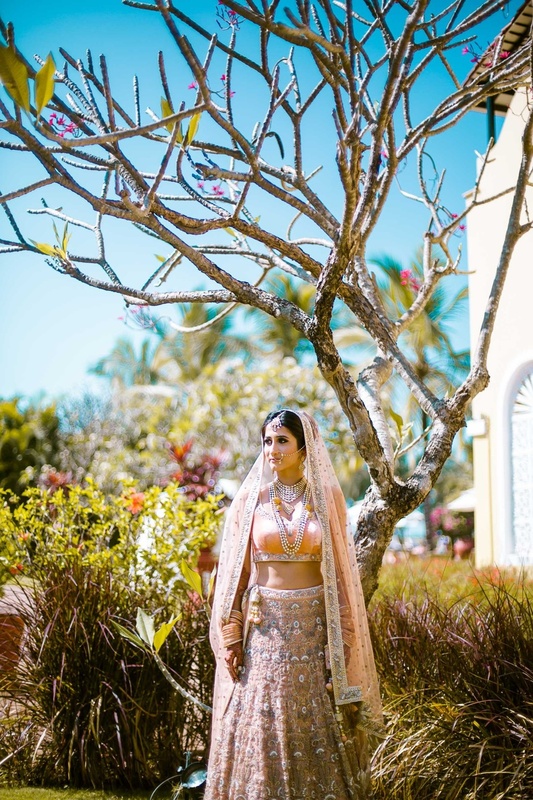 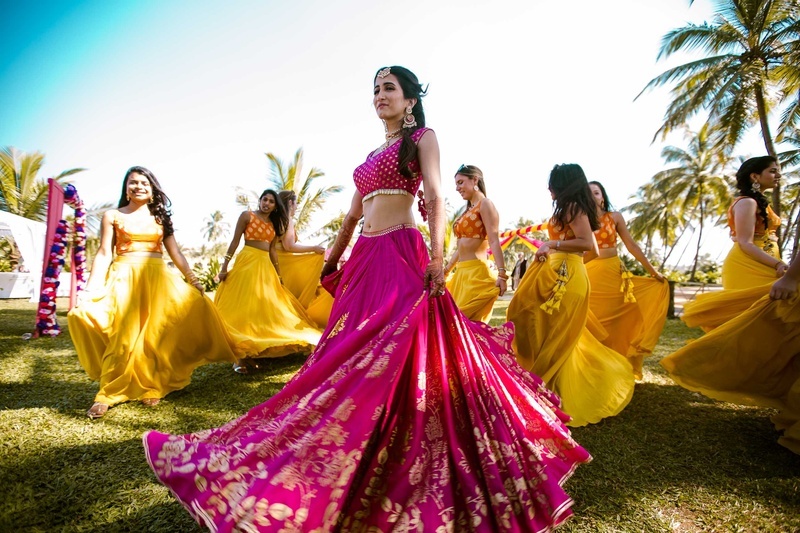 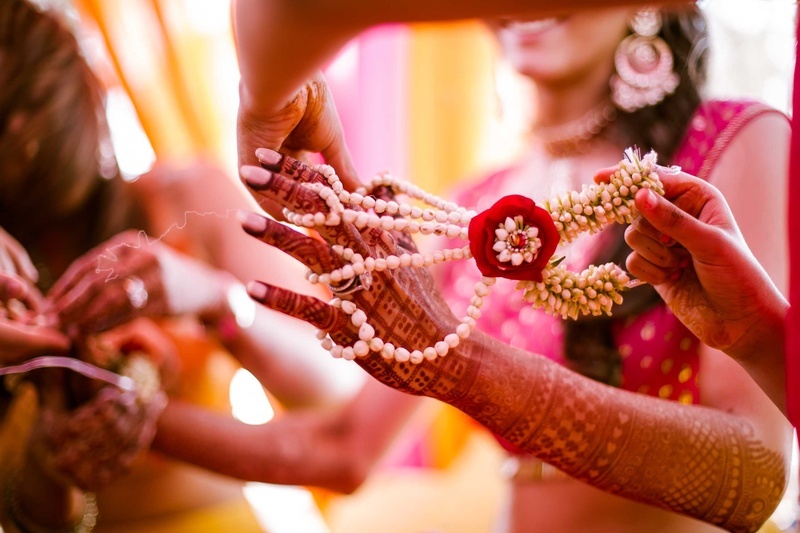 From a heavenly sangeet captured artisically in all black ad white by The Photo Diary, and colorful and quirky mehndi functions at Lalit Golf and Spa Resorts, Goa the venue provided them with the atmosphere and look that suited the couple. 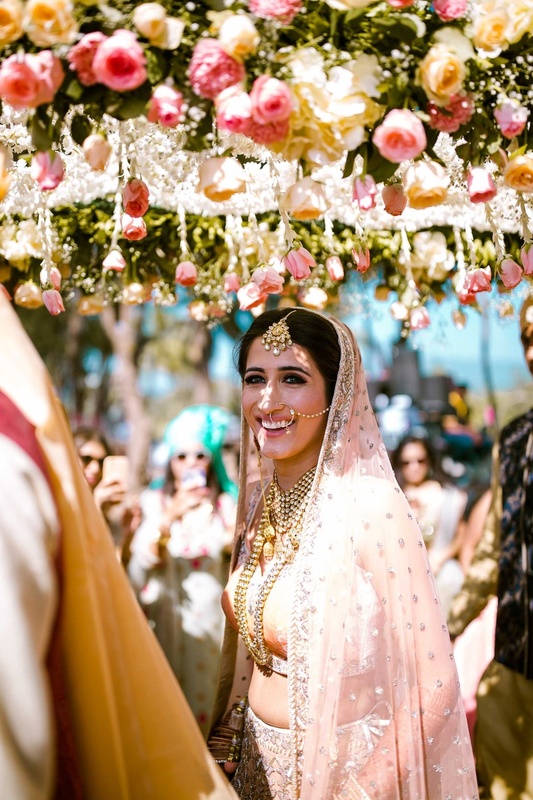 "Nivaan and I met quite hilariously" tells Kiran, the bride, in her interview with The Photo Diary. 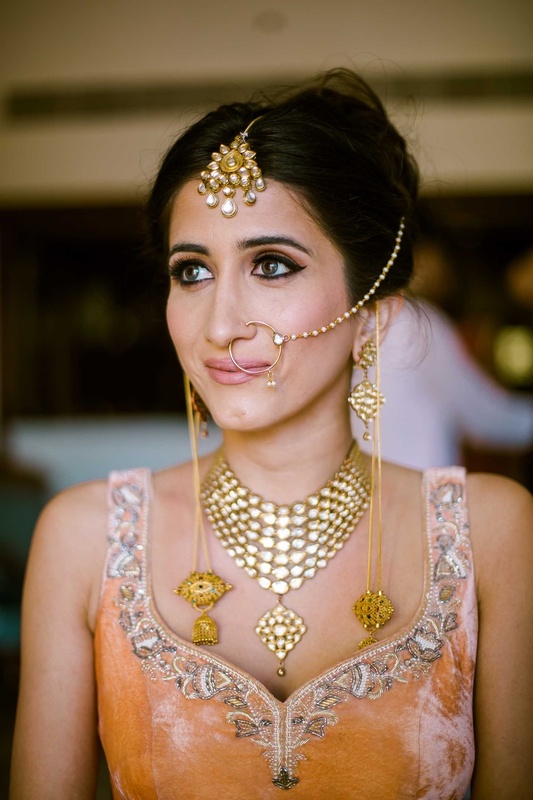 "It was my first year at college and i was in the cafeteria and this guy just walked up to me, tapped me on the shoulder and asked ' Are you Indian?' 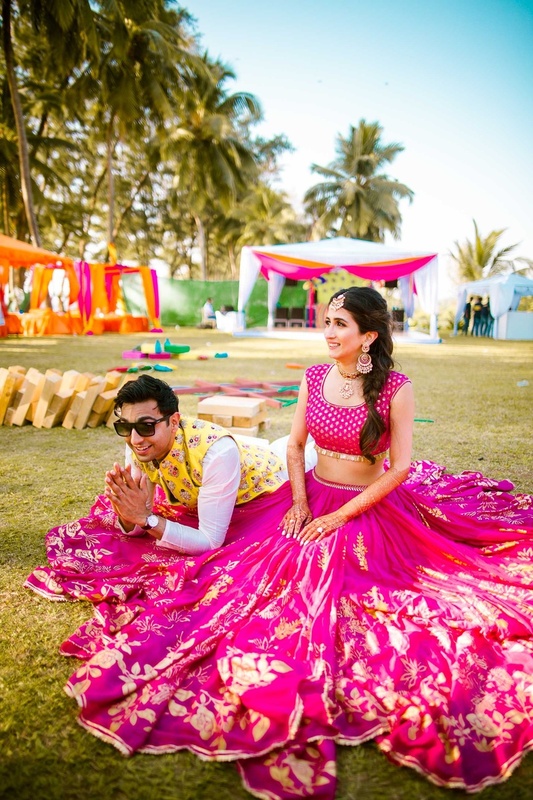 and that was it!" 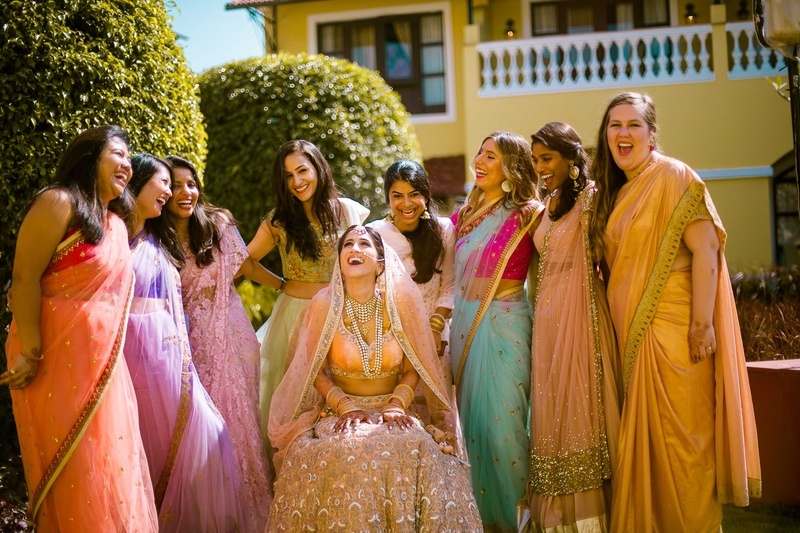 she laughs. 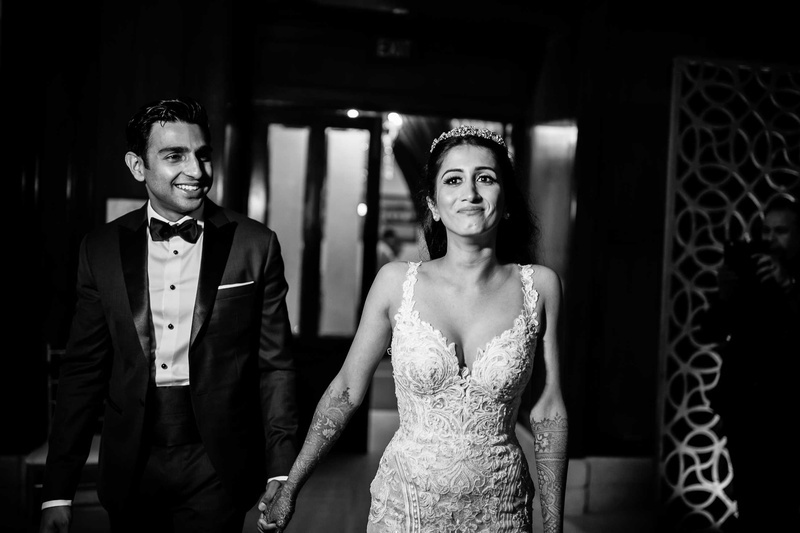 "We always said, 'Maybe if we're together in two months, we'll go see such and such movie' or 'Maybe if we're together in six months, we'll go on this trip' and I think after a year and a half, we stopped saying that. 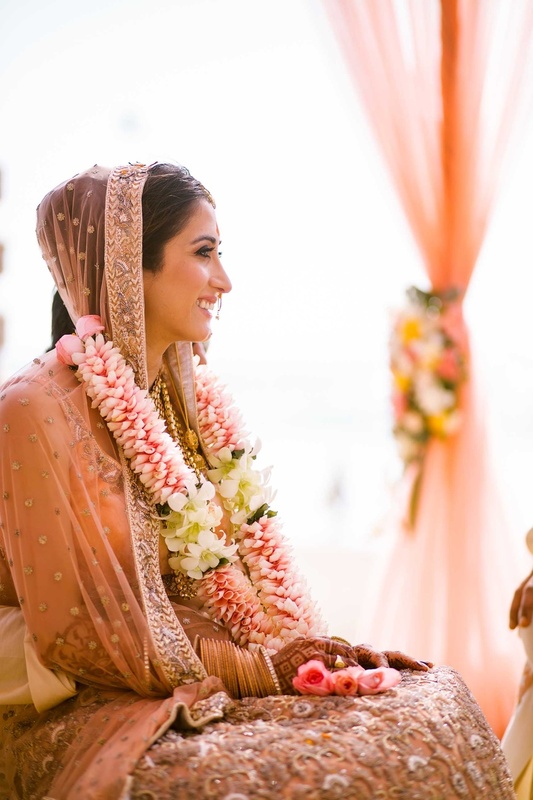 Now it's 11 years later and we're getting married" says Nivaan.